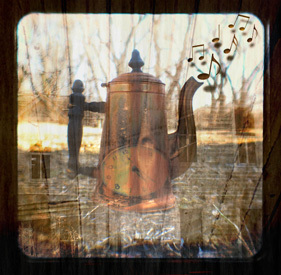 Junkin' Monday - Jill Ruth & Co.
Mmmmm, can you hear the ticking? You might notice the two on the front right--no, they aren't actually clocks but wall thermostats. They look awesome. Look at the little art deco beauty hiding in the back row--check out these art deco clocks I have listed here and here. I found those at the flea market I posted about last week in Junkin' Monday. Now, head over to Clara and Marcela's blog Cottage Charm and Family Inspiration for more Junkin' Monday posts. So fun to share the vintage quest! Love, love, love the turquoise one with yellow face...KILLER!! They make such a bold statement all grouped like that, don't they?? We'd have a hard time letting go of them!! oh, i love the turquoise colored one too...that one popped right off the screen at me...what a haul you got...congrats!!! as long as YOU love them, that's what counts! You make me want to start a collection of my own. LOL! Really I'm just funning! Happy for you! Those are fabulous clocks! I'm crushing on that turquoise one - it's tdf! I am so pleased that I discovered your blog! I am loving all of your clocks, that's some collection you've got there. I've been doing some nosing around your blog, I'm impressed! Expect to see me around here often! Hi Jill, thanks for coming by, and for sending up a prayer. I'm so sad to hear about your first husband's death. so young. I'm still here at home waiting to find out what is best to do this week. Love all your clocks. Those would be my favorites, too...and you got a load of them! Take care, and have a good week. I love clocks also, I think you did pretty good at the auction! You've got quite a lot of great clocks. You found some wonderful clocks! I don't think I've ever seen that many clocks in one weekend of junkin'. I'm not even going to try and pick a fave...Okay, maybe the blue one, love it! I love old clocks....great finds!! What wonderful clocks! I have three old (non-working) clocks - each set with the time of my childrens' birth. I saw the idea on a blog (was it here?) and thought it was fun. The kids like to be able to look at their clock to remember what time they were born. And the dress form? I think you should name her "robelyn" and then send her to her namesake. haha! That's an awesome find!!! I can not wait to see what you do with it!! !